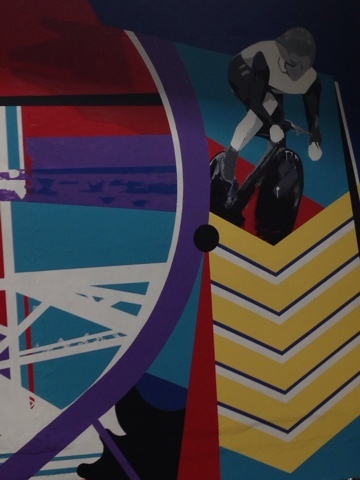 The mural we painted at the Sir Chris Hoy Velodrome for the Glasgow 2014 Commonwealth Games. Was such an honour to do this commission. 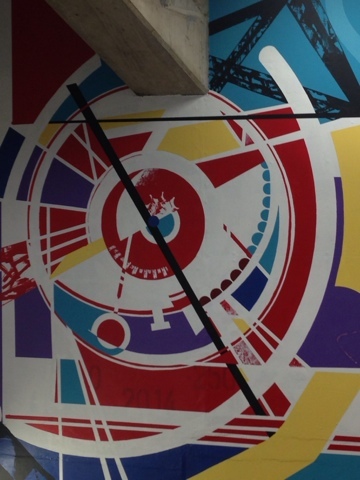 We painted this one with brush and acrylic on scaffold through the nights leading up to the games. 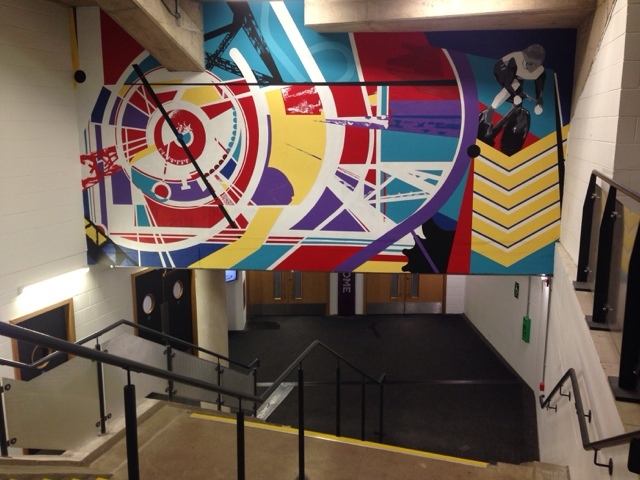 It was a serious challenge but probably one of our favourite murals we've ever painted!